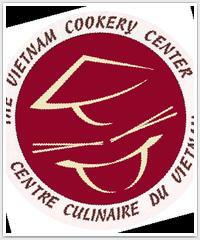 Established since 1999, we are the first and most professional Cookery Center in Vietnam, teaching Vietnamese gastronomy to Tourists and other professional visitors from all over the world. 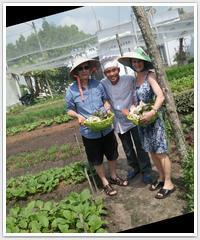 Our courses are hands-on classes, with an introduction to the food culture of Vietnam, providing you with a memorable souvenir to bring home. About our location: Our school is located in the heart of Saigon, from our large terrace you will have an unique view of an area that real estate developers call the “Golden Triangle”. On top of having a wonderful initiation on Vietnamese Gastronomy, you will have the opportunity to go back in history and spend time in one of the last colonial building still erected right downtown. This building has been built in 1930 by the French, and was to be the residence of the Saigonese Elite. It was the first concrete building in Asia, and the pride of its French architect. Unfortunately he made a typical “colonial“ mistake: as many French buildings in France, the space under the roof was divided into small rooms for the servants. When the building was finished and the apartments put on sale, none of the rich Vietnamese accepted to live there, as in Asia the tradition is to have only your ancestors’ altar or worshiped gods over your head, not servants!